Concerns have been mounting across Europe over the recent rise of extremist nationalism in Hungary, where in 2010 the Jobbik Party, variably characterized as “fascist”, “neo-fascist”, “anti-Semitic”, “anti-Roma”, and “homophobic”, received 17% of the votes in the general election and gained 47 seats in Hungarian parliament. Hungary often seems predisposed to nationalism, as most Hungarians are very proud of their distinctive and illustrious cultural past, and all are conscious of the fact that their country lost half of its land and a third of the ethnically Hungarian (Magyar) population with the Treaty of Trianon signed in 1920. Hard-core nationalism has long been a staple feature of Hungary, advertised by innumerable pre-Trianon maps of the country, but until the recent crisis period it seemed confined to a relatively small minority. It is now expanding and becoming bolder in its statements. Ugly public occurrences are also becoming more common. One such incident took place on June 5, 2012, when former Chief Rabbi József Schweitzer was accosted in Budapest by a man who swore at him and shouted “I hate all Jews”. 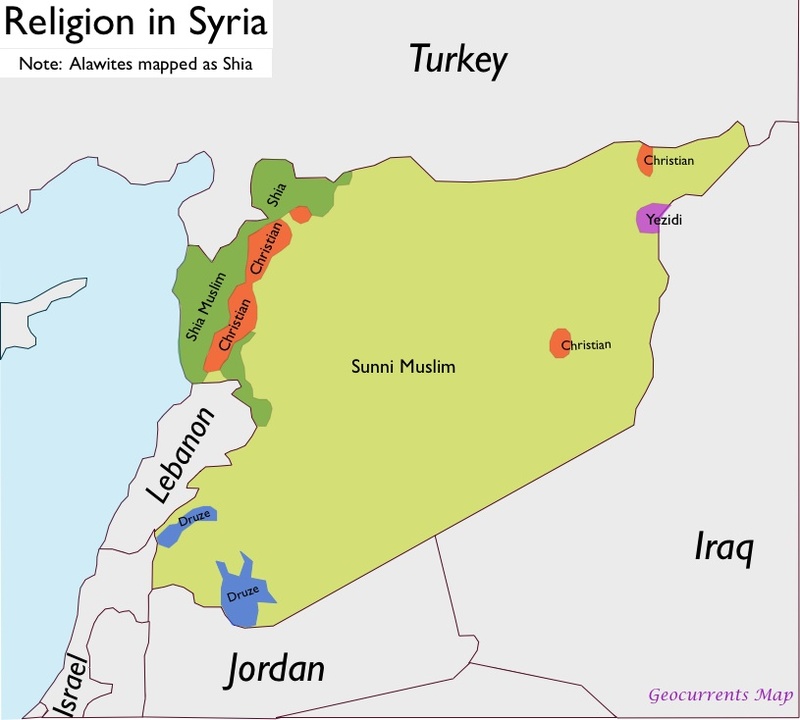 Political, religious, and local community leaders—including the country’s president and foreign minister, leaders of the Catholic, Calvinist, and Lutheran Churches, the opposition parties of MSZP (Socialists) and LMP (Greens), many NGOs and town mayors—unanimously condemned this anti-Semitic act. Another recent scandal erupted over a certificate of “racial purity” issued to a member of parliament from the Jobbik party, claiming that a genetics test proved that he had no Roma (Gypsy) or Jewish heritage. 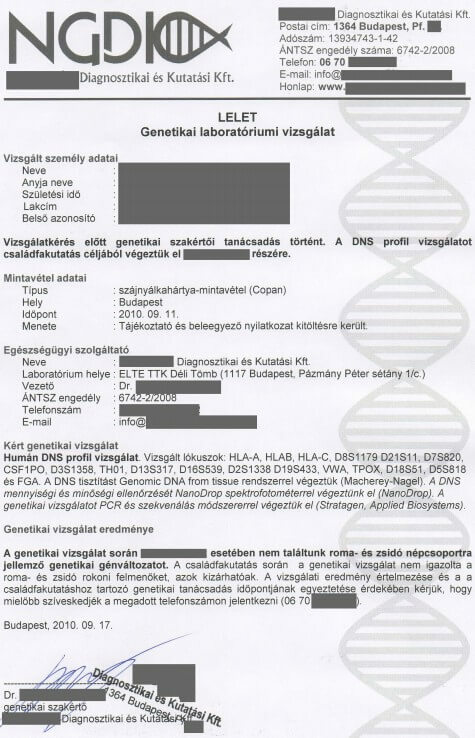 The genetic testing was allegedly done in September 2010, just weeks before local elections, and five months after the Jobbik party’s electoral breakthrough. ,. 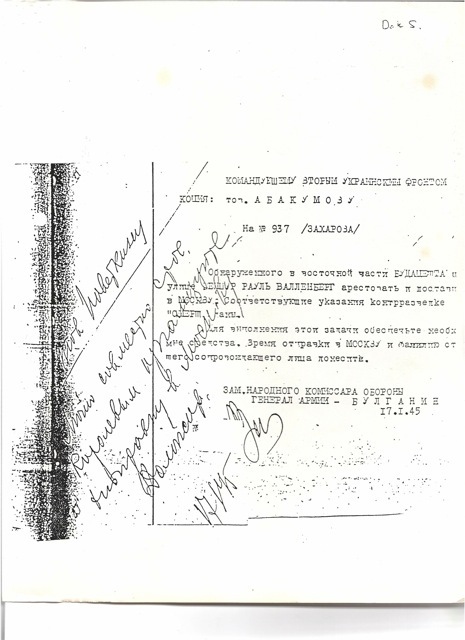 The certificate eventually surfaced on the internet and was seized by the Hungarian media, eliciting outraged reactions from politicians and scientists alike. Hungary’s Medical Research Council concluded that the genetic test violates their country’s 2008 Law on Genetics, which allows such testing only for health purposes. The Council called on public prosecutors to investigate the company that issued the certificate, the Nagy Gén Diagnostic and Research, which rents office space at the prestigious Eötvös Loránd University in Budapest. The university, though denying any contact with the company, issued a written statement that it “fully rejects” the abuse of scientific results to promote discrimination or hatred. One of Nagy Gén’s owners, Tibor Benedek—a three-time Olympic water-polo gold medalist and a member of a prominent Jewish family—immediately pulled out of the company. Most Jewish men find themselves in various haplogroups, including J1 and J2, E1b1b, I, R1a, and R1b (see Nebel et al. 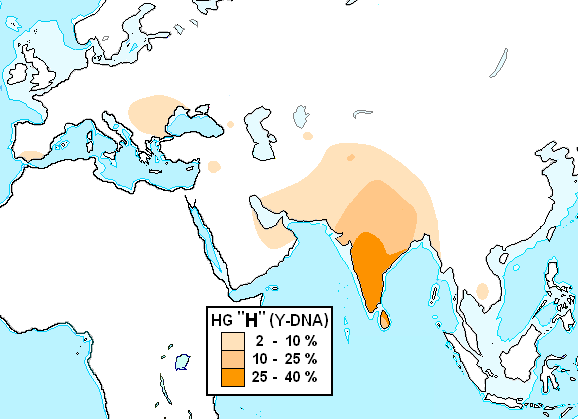 2001), but none of these haplogroups is exclusive to Jews. 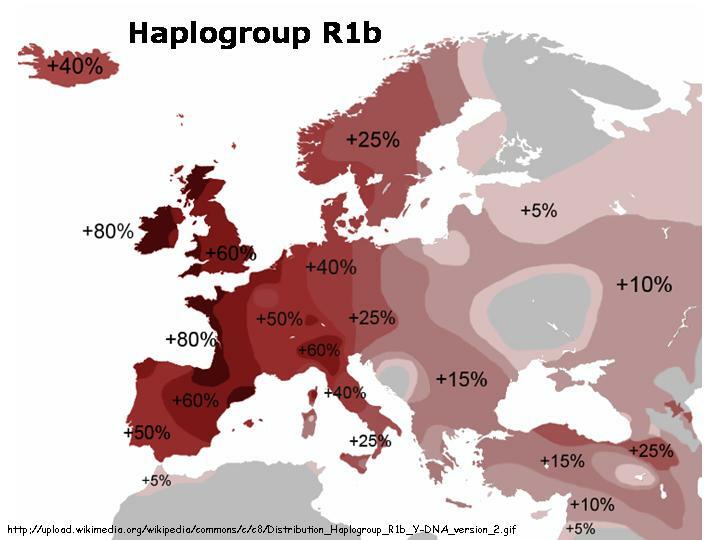 30% of Sephardic Jews belong to Haplogroup R1b, which is twice to three times more common among peoples of Atlantic Europe, from the British Isles (Irish 90%, Welsh 86%, Scottish 77%, English 75%) to the Iberian Peninsula (Basque 92%, Portuguese 60-81%, Spanish 78%). 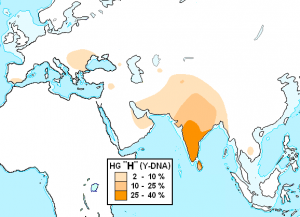 Similarly, 43% of Ashkenazi Jews belong to Haplogroup J, but it is found almost twice as frequently among Chechens and Ingush, as well as among Yemeni men. 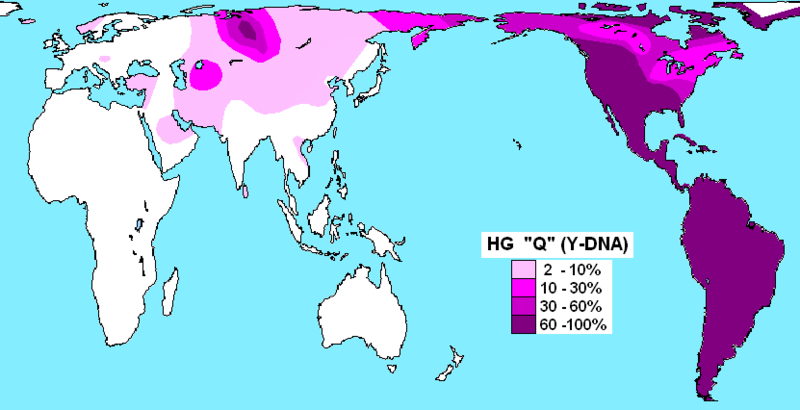 Some haplogroups are specific to an ethnic group only in a given region: for example, if an Eastern European man belongs to Haplogroup Q, he is likely a Jew—or a Slovak—but most men in Haplogroup Q are either Native Americans, or a member of an indigenous Siberian groups such as Kets and Selkups. 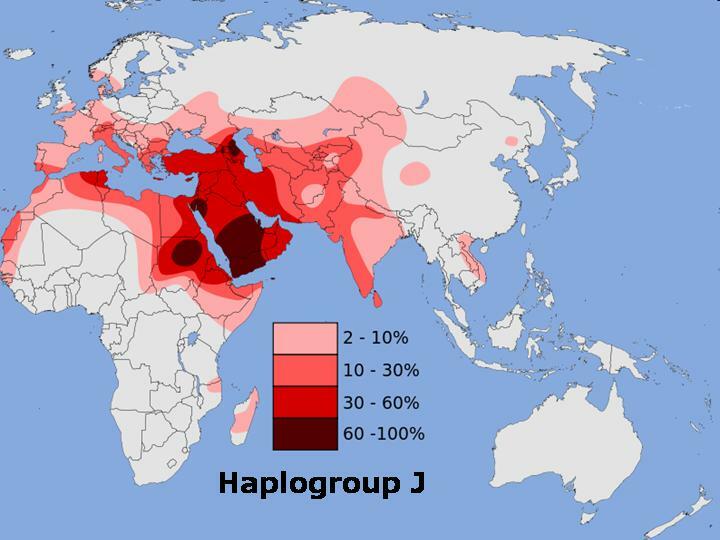 Even the Cohen Modal Haplotype (CMH), which supposedly identifies Jewish men of priestly heritage, is found with certain non-trivial frequency among non-Jewish men in Yemen, Oman, and Jordan. The Roma people are currently the largest ethnic minority in Hungary, constituting nearly half of the non-Hungarian population. However, the real number of Roma in Hungary is much disputed. In the 2001 census, only 190,000 people self-identified as Roma, but as the Roma tend to conceal their origins, a historically adaptive strategy, experts estimate that the real number is 2 to 5 times higher. The Roma first appeared in Hungary in the 14th and 15th centuries, where their alien culture and ignorance of the local laws put them at odds with the native population and later with the Habsburg rulers as well. Maria Theresa placed restrictions on Romani marriages and ordered Gypsy children to be taken away from their parents. 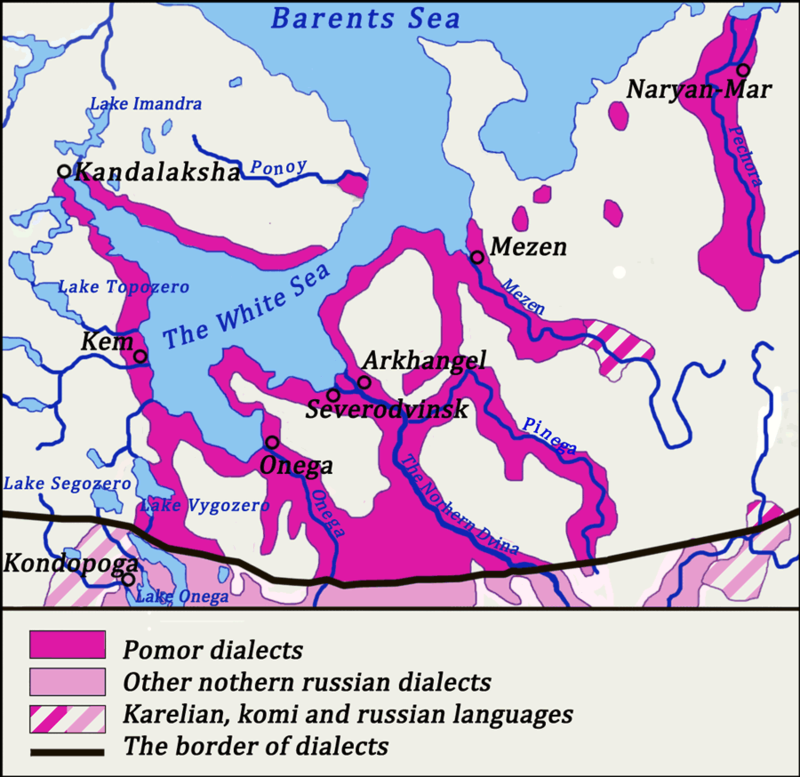 Her son Joseph II prohibited use of the Romani language in 1783. Despite the long-standing efforts of the authorities to stomp out the Romani tongue, about a quarter of the Roma in present-day Hungary still speak the language. Although they traditionally followed a semi-migratory way of life in the countryside, the Roma began moving into the cities in the 20th century, creating a sizable minority in Budapest. During World War II, some 28,000 Hungarian Gypsies were exterminated. Since then, however, the size of the population has increased rapidly. Today, the Roma continue to be among the poorest people in Hungary. Their birth rates are much higher than the national average and their average expected life spans are significantly lower. The proportion of Roma children who receive secondary education is three times lower than among non-Roma. The Roma continue to face hardship, prejudice, and overt hostility. In 2008 and 2009 six Hungarian Gypsies were killed in a string of attacks. In April 2011, a vigilante group called Véderő (Defence Force) set up a training camp in northern Hungary, near a Roma village, causing the inhabitants to flee. The Jews are another small but historically significant ethnic minority in Hungary. For centuries, Hungarian Jews have experienced alternating waves of tolerance and prejudice. On numerous occasions, they were expelled by the country’s rulers and then promptly readmitted, even invited back. In 1783 the Austrian Emperor Joseph II issued a decree known as the Systematica gentis Judaicae regulatio, which allowed the Jews to settle freely throughout the country, including towns and cities. 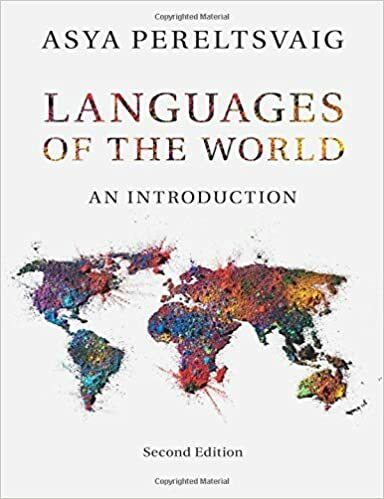 But at the same stroke, Jews were now required to compose all legal documents not in Hebrew or Yiddish, but in Latin, German, and Hungarian, the official languages of the time, which young Jews were now required to study. Despite disabilities, the Jewish community continued to grow. In 1800, Jews constituted less than 2% of the population of the Hungarian Kingdom and their presence in towns was negligible. 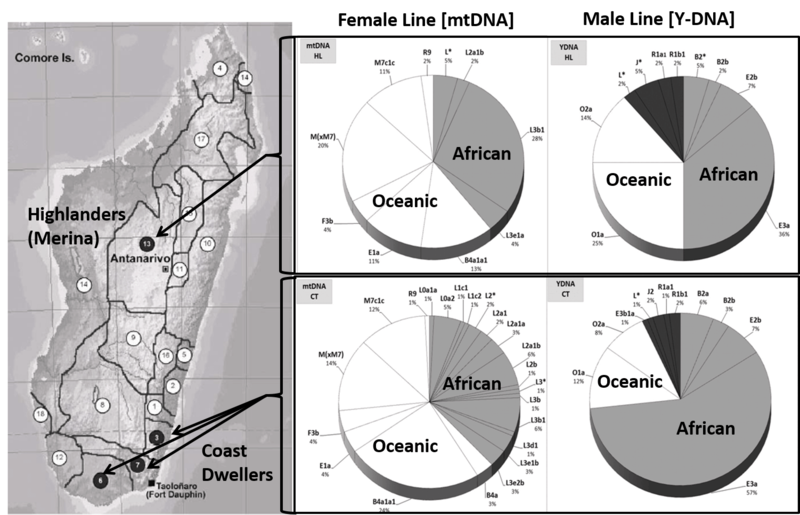 By the 1910 census, their number increased to over 900,000, or 5% of the total population, with a heavy concentration in urban areas. According to William O. McCagg, at the turn of the 20th century one in four residents of Budapest was Jewish, while the Jewish representation in industry, trade, finance, and the medical and legal professions surpassed the 50% mark. Wealthy Jews were so thoroughly integrated into Hungarian society that 346 Jewish families obtained patents of nobility during the 1800s and early 1900s. The position of Hungarian Jews declined after the fall of the Hapsburg Empire. During the interwar period, the Jewish population of Hungary dropped, largely due to redrawing the borders and to conversions out of Judaism, which were especially pronounced from 1919 to1920 (during the anti-communist “white terror”) and in 1938 (after the passage of anti-Jewish laws). In this period Jewishness was determined by religion, which was written on one’s birth certificate, marriage license, even school grade reports. But Hungary’s second anti-Jewish law, adopted in May 1939 defined Jews racially: people with two or more Jewish-born grandparents were declared Jewish (the first anti-Jewish laws in Hungary, restricting the number of Jews in different professions, in emulation of Germany’s Nürnberg Laws, were passed about a year earlier). Estimates of the numbers of Jews living in Hungary in 1941 differ by about 100,000, depending on whether a religious or racial definition is used. In the initial period of World War II, massacres of Jews (as well as Serbs and others) became common across Hungary. Jewish forced laborers were used to repair bombed railroads, build airports, and to clean up minefields at the front barehanded; many thousands were killed, often by their Hungarian guards. But until the occupation of Hungary by German troops on March 19, 1944, Regent Horthy’s government resisted German pressure to deport Hungarian Jews to German extermination camps in occupied Poland. On April 14, however, the new government decided to deport all the Jews of Hungary. SS Colonel Adolf Eichmann supervised the process. The first transports to Auschwitz began in early May 1944 and continued for two months, even as Soviet troops approached. For most of this period, 12,000 Jews were delivered to Auschwitz in a typical day, where nine out of ten were exterminated on arrival (the horrific selection process is depicted in this series of photographs taken by SS officers in May-June 1944). Among the few who survived is the writer and Nobel Prize winner Elie Wiesel. By July 9, over 430,000 Jews had been deported, according to official German reports. Although few objections were voiced from the Catholic or Protestant churches, one notable exception was Bishop Áron Márton of Alba Iulia in Transylvania. Hungarian gendarmes’ eagerness in rounding up Jews surprised even Eichmann himself. Some courageous Hungarians, such as Sister Sára Salkaházi, and foreigners— Italian businessman Giorgio Perlasca, Spanish diplomat Ángel Sanz Briz, and his Swiss colleague Carl Lutz—helped save Jews from deportation. Although the deportations were officially suspended by Admiral Horthy on July 6, death marches and ghetto raids continued for months. Raoul Wallenberg remained in Budapest throughout 1944, making frequent raids on the death marches, trying to save as many people as he could. 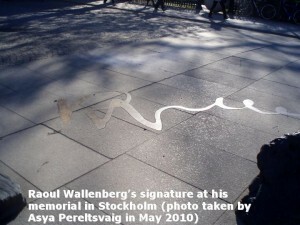 In January 1945, Wallenberg was arrested by Soviet authorities on suspicion of espionage and subsequently disappeared. 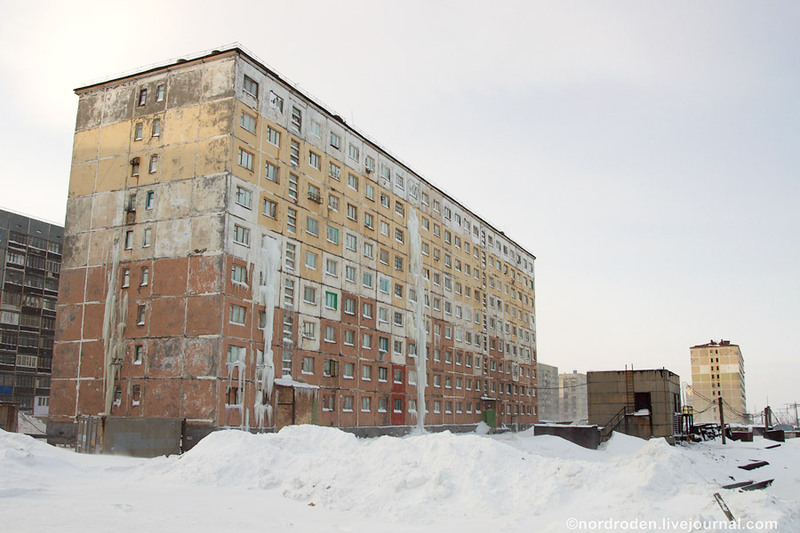 He is presumed to have died at the Lubyanka NKVD headquarters in Moscow in July 1947. The motives behind Wallenberg’s arrest and imprisonment by the Soviets, along with the circumstances of his death, remain shrouded in mystery, providing fodder for continued speculation. Due to his courageous actions on behalf of the Hungarian Jews, Wallenberg has been designated one of the Righteous among the Nations. In 1981, Tom Lantos, one of those saved by Wallenberg in Hungary and later a U.S. Congressman from the San Francisco Bay Area, sponsored a bill making Wallenberg an Honorary Citizen of the United States; he is also been designated an honorary citizen of Canada, Hungary, and Israel. McCagg, William O. (1972) Jewish Nobles and Geniuses in Modern Hungary. Boulder: East European Monographs. 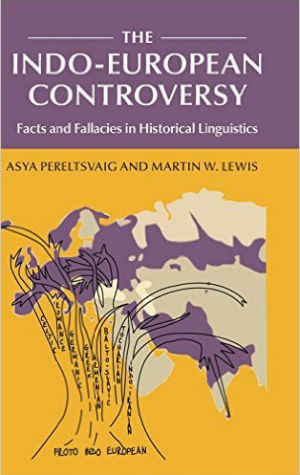 Nebel, Filon, Brinkmann, Majumder, Faerman, and Oppenheim, “The Y Chromosome Pool of Jews as Part of the Genetic Landscape of the Middle East,” American Journal of Human Genetics 2001 November; 69(5): 1095–1112.